My friend, Bob De Palma, invited me to two wine tastings this week. Bob is helping open a new wine bar in downtown Crystal Lake, Illinois, called Exclusively Napa. 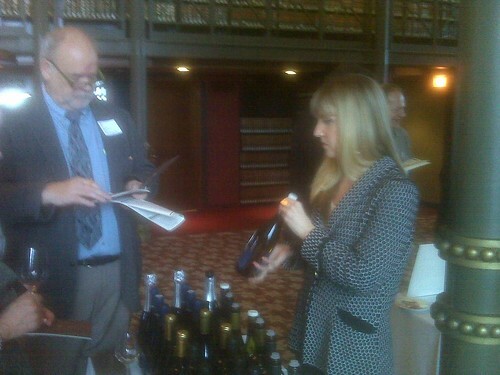 I gladly accepted his invite to taste from over 200 wines at two different venues, all listed at Ifonly, too. Connoisseur Wines, a distributor based in Niles, Illinois hosted their 2011 Portfolio Event at The Library, located on the 40th floor of the 190 S. LaSalle Building in Chicago. The Library is an actual law library that doubles as an event facility. Connoisser Wines represented approximately fifty wineries at the tasting, representing the United States, Argentina, France, Germany, Italy, New Zealand and Spain. Two of my favorites were Clendenen Family Vineyards from Central Coast, California (Stallion Vineyard 2009 Sauvignon Blanc) and Brick House Vineyard, Willamette Valley Oregon (Boulder Block Pinot Noir). At this tasting I also saw Nick Domanico, owner of Tapas Calpe‘, a wine bar located inside Orchard Prime Meats in downtown Cary, Illinois. On the 40th Floor of “the Library”, an event facility at 190 South LaSalle. Spring wine tasting. 50 tables of wines from around the world. Off to the Peninsula Hotel next for the new release New Zealand wines. 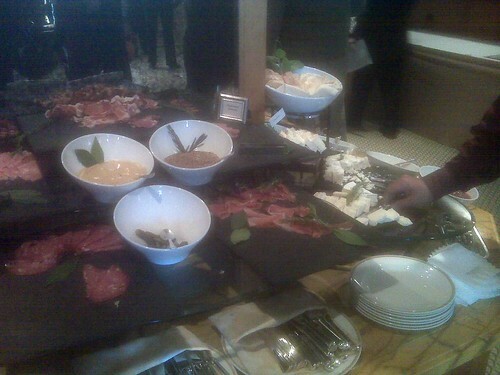 Then it was off to The Peninsula Hotel for the New Release Tasting sponsored by New Zealand Wine. 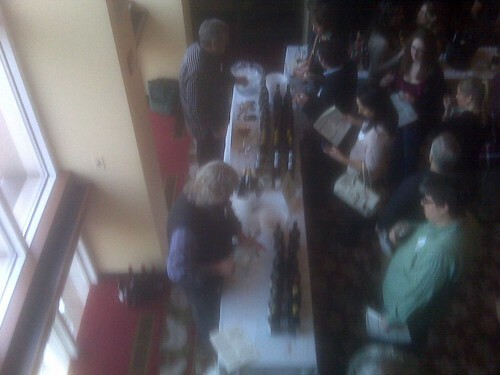 This event featured excellent wines from twenty nine different producers. Round 2: at the Peninsula Hotel for a plethora of pate’s and new release New Zealand wines. Some of my favorites were Babich (Pinot Noir Marlbough 2009) Trinity Hill (Gimblett Gravels Syrah, Hawke’s Bay 2008), and Elephant Hill (Sauvignon Blanc, Hawkes’ Bay 2010). So many wines, so little time! You will be able to taste some of these gems in the near future at Exclusively Napa in downtown Crystal Lake.